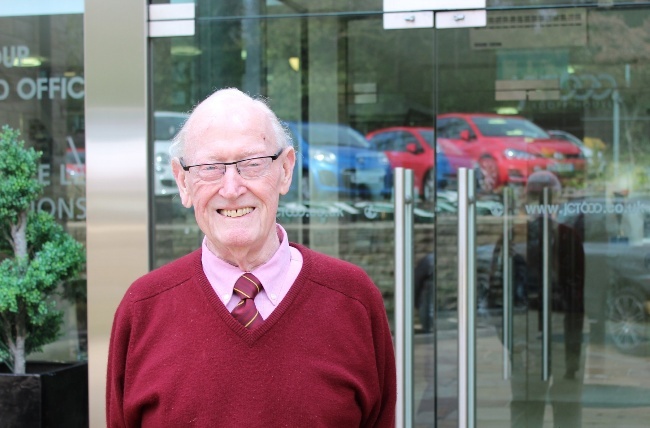 Jack, 83, is one of the region’s most respected businessmen having built JCT600 from a single dealership on Sticker Lane in Bradford into one of the largest privately owned businesses in the UK. Throughout his long career spanning 68 years in business, he has received many awards, including an MBE in 2007, and has now been made an Officer of the Order of the British Empire (OBE). Jack was presented with the award at a ceremony at Bowcliffe Hall in Bramham, Wetherby, following the announcement in Her Majesty’s 2018 birthday honours list in June. Earlier this year, the family business announced record sales of £1.251 bn and increasing profits, having established itself as one of the most trusted names in Yorkshire for generations of loyal customers. It has a 2,250-strong team including over a hundred apprentices and has been recognised in the Sunday Times “Best 100 Companies to Work For” list. With 52 dealerships, representing 21 of the world’s leading car marques, JCT600 is one of Yorkshire’s most successful businesses. Over its 72 year history, JCT600 has consistently contributed to the communities in which it works, whether by supporting local and regional sports clubs, or various charities close to colleagues’ hearts. The company has been the main sponsor for Bradford City for the last ten years and also sponsors Bradford & Bingley Rugby Club. It is currently a patron of The Prince’s Trust. Jack Tordoff said: “I’m fortunate to have enjoyed a fantastic career and I am tremendously proud of what we have created at JCT600. To have now been given this award by Her Majesty is the ultimate honour and I believe testament to the hard work, grit and enterprise for which Yorkshire is famous. Jack added: “I am Bradford born and bred and have never lost sight of my roots or how important it is for successful companies to give back to their local communities.